Founded with over 20 years of experience in the fitness industry, JOY2BWell proudly offers quality, personal instruction – private and group sessions -- helping clients achieve optimal health that results in an exceptional quality of life. 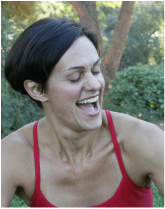 Her experience and training, coupled with her formal education from San Jose State University, where she received her Bachelor of Arts Degree in Public Relations, with a minor in Business Management, provide clients with the best of both worlds – professionalism, great customer service and well-planned, intentional and customized fitness programs for personal training and group sessions. JOY2BWell also carries exclusively AdvoCare nutrition, offering its clients only the best - so they can feel and perform at their best. Thank you for stopping by -- we look forward to hearing from you! I believe our body is a gift. With a healthy body, we perform at our best and can accomplish much in our lives – for ourselves and others. Encouragement – a core value of JOY2BWell -- is key to your success in becoming healthier. Without motivation, direction, and success you can become easily discouraged and give up. Encouragement coupled with expertise and a well-planned program, will help you achieve true wellness -- one that can be seen on the outside, but more importantly, can be felt on the inside. This, in turn, brings about an amazing feeling: living life fully and completely. Your wealth is your health, and like a pebble dropped in a pond…it ripples out from the center – affecting every area of your life. Becoming healthy is a process…this is where JOY2BWell makes a difference … for the good.